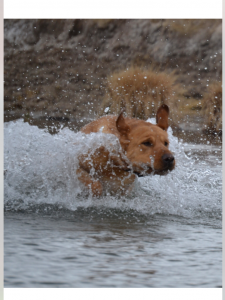 “Tiggy” is a 5 year old, 80 lb dark yellow/fox red Labrador who has shown exceptional training abilities. He is trained to the master hunter level but we are not field trialers so have never titled him. 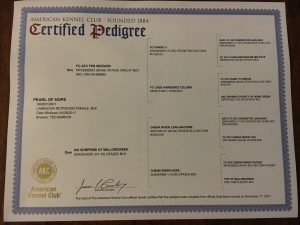 He is OFA excellent, as are his sire and dam OFA excellent, has a terrific pedigree, is outstanding quality in the field and as a superior stud dog. 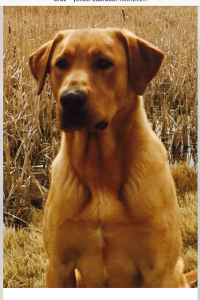 He has produced many fine pups that are successful in both trials and as upland and waterfowl dogs. 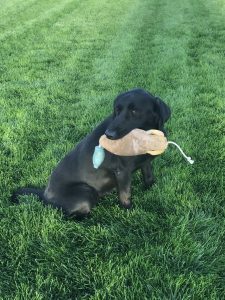 Tiggy’s sire is one of the greatest labs of all time, GMHRCH (Grand Master Hunting Retriever with 1000 points) WR (Working Retriever) Silverbrook’s Return to Sender MH (Elvis). Elvis was featured on the Discovery Channel’s Animal Planet as a prime example of the working Labrador Retriever. Tiggy continues his father’s tradition of producing superior offspring and being a machine of a retriever. He has a calm demeanor and just loves to hang out. His retrieving is calculated and precise and we very rarely lose a downed bird if he’s in the field. SMG’s Aces High’s Hunter, “Babe” (CNAF, CFC, FC, AFC, Aces High III x HRCH Lewis Backwater Showgirl MH). 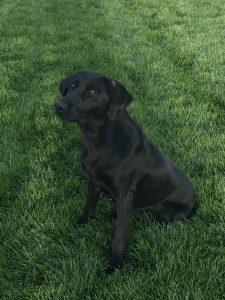 We are very fortunate to have acquired this Outstanding ACES HIGH III daughter to start the foundation of our breeding Working Labradors. Babe is a very tractable, intelligent, extremely fast and a highly driven retriever who lives to work. Babe has intense focus, steady and a great marker. Babe has a wonderful attitude for water with over the top prey drive. Babe always gives her all and has a high desire to please. Babe is a pleasure to train, off the field she is calm, an absolute sweetheart and a loving family companion.